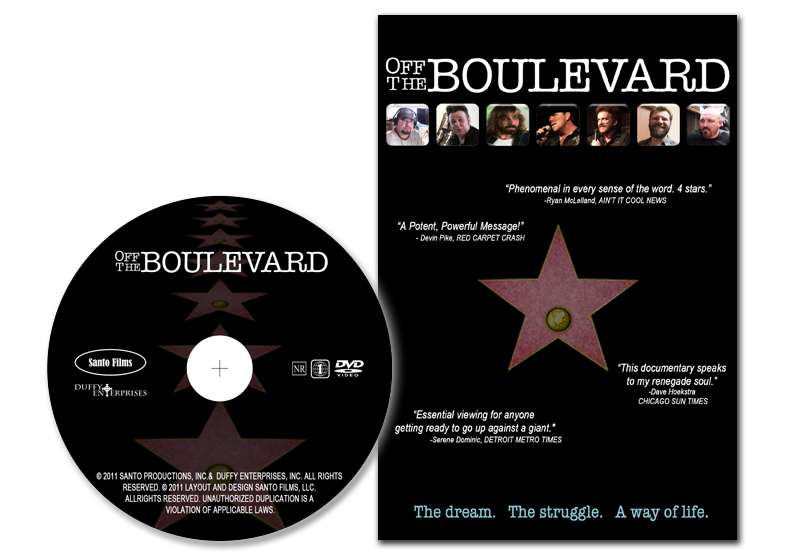 Off the Boulevard is, from start to finish, a labor of love for writer/director Jeff Santo. 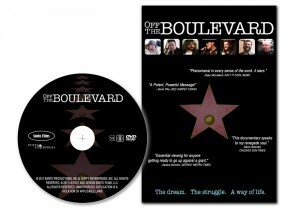 It chronicles the trials and tribulations of seven artists in various aspects of the entertainment industry. Featured: two musicians (Nick Nicholson, Keith Jackson), two filmmakers (Troy Duffy, Jeff Santo), two actors (David Della Rocco, Sanel Budimlic), and one comedian (Bob Rubin). This movie is in a nutshell a necessary smack in the face with brutal realism. I believe it’s essential for everyone with the dream but not the drive to succeed in such a demanding and confusing industry to see this. It is damn near impossible to hop into the industry, but can be relatively simple to flush yourself from it. It was great to also see clips of Peter Fonda (Easy Rider), Joe Mantegna (Criminal Minds), Gilby Clarke (Guns N’ Roses), Sonny Barger (Hell’s Angels), Dan Haggerty (Grizzly Adams), and Eddie Vedder (Pearl Jam) smattered throughout with their impressions of what the industry definition of Independant actually is. Through the documentary, the experiences were pretty heartbreaking. Being broke, working a day job to have those two days off to do what you love, getting screwed by a distributor. It is a carnival of sadness. Is that a bad thing? In this case, no. When you have to face the problems in order to do the thing you love, you have to have steadfast perseverance. Very few things are more uplifting than watching success happen. And no, it doesn’t happen overnight. Check in on the seven artists featured in the documentary to see how they’re doing.